A personal note meant the most to me when I received a shoebox gift in the Dominican Republic. 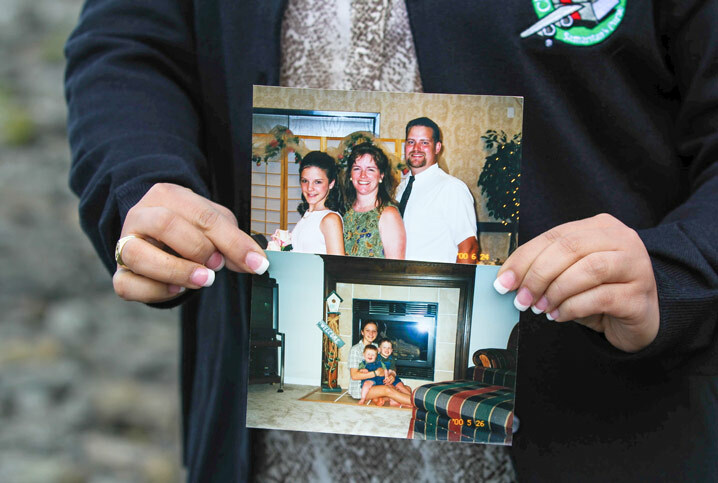 Two photos accompanied the note—one of Brittany with her parents, simply identified as mom and dad, and one of Brittany with her younger brothers, Austin and Brandon. That’s all that I know about the family who packed my shoebox gift—besides that they packed the gift filled with the love of God. There was no last name; no email or address. 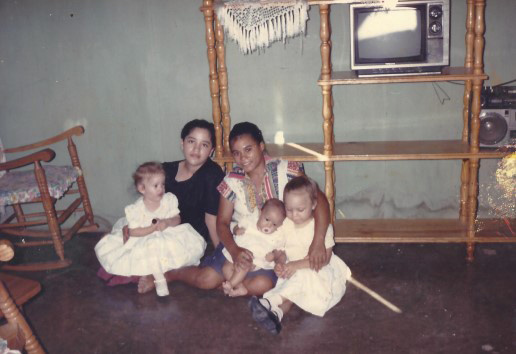 I long to meet this family who packed my shoebox with God’s love so I can tell them how much that still means to me. My two sisters and I didn’t usually receive Christmas presents. 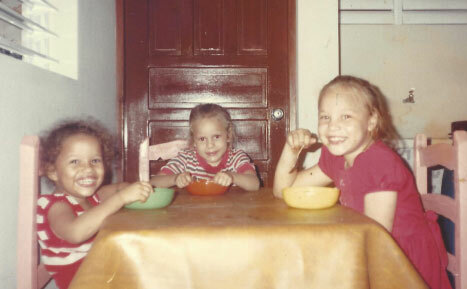 Our parents made sure we had food and clothes—working hard at multiple jobs for that purpose—but we didn’t have a lot of extras. It was a special treat if we had a few pesos left over to go out for hotdogs after church once in a while. My dad, a pastor, started our church with nine members meeting in a backyard. Each January 6, the church hosted an “El Día del Niño” (Children’s Day) celebration. The puppet show, cake, and soda were typically our special gifts at Christmastime. 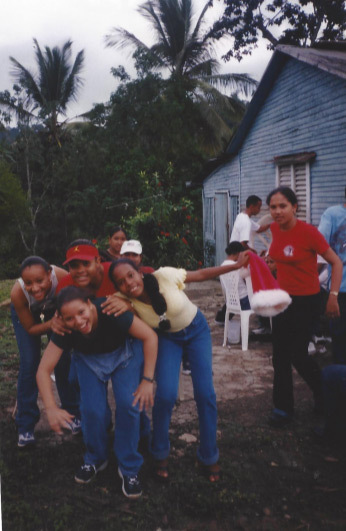 But when I was about 9 years old, the Children’s Day celebration included a surprise—Operation Christmas Child shoeboxes. While handing them out, the church members told us that someone made our shoebox gift especially for us. That stuck with me, especially after seeing the family in the photos. My shoebox included socks, soap, and a toothbrush—things that, now as an adult, I also love to put in the shoeboxes I pack. All children can use these things. I also received a stuffed animal, a coloring book, a notebook, and crayons—items I also pack in shoeboxes to make each child feel special. My shoebox packing always starts with a note and a photo—I put those in the shoeboxes first. My dad used to tell my sisters and me, “Everything belongs to God; nothing belongs to us.” Sometimes I wondered why I didn’t get things that other kids had if my family was working in the Name of God, but we believed in His faithfulness. 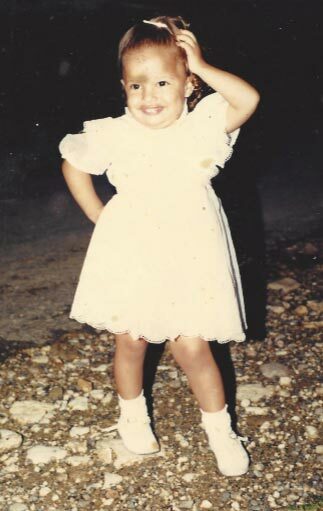 Leading up to when I received my shoebox, I asked God for a special gift at Christmastime, something just for me. I knew that my shoebox gift was God’s answer to my prayer. To me, it was proof that God is faithful. Growing up in church, I assumed I was a Christian. But my dad told me that a Christian is someone who makes a decision to follow Jesus Christ. My salvation occurred a couple of years after I received my shoebox, but the gift really started me thinking that since God is faithful to me, I needed to be faithful to Him. My faith was tested when I was 18. Our parents had just dropped off me and my middle sister at college in the Dominican and were then involved in a traffic accident. Our older sister and both of our parents were killed in the crash. Losing so much so fast has caused me to not take anything for granted. Everything can change in the blink of an eye. There are times I still feel lonely without them and ask God why they had to leave, but I’ve never doubted the love of God. Though I don’t always understand His plan, I’ve learned to trust in it. That faith goes back to my shoebox. I needed that message of God’s love that Brittany sent to me—little did I know how much I would need it, but He did. I believe that God always will put the right box in the right hand. God worked in the heart of a 13-year-old girl to send that message to me. I often wonder where Brittany, now in her 30s, is today and what she is doing. But God knows, and I know He is faithful. Anabel now lives near her sister in Washington state, where her aunt and uncle started a Hispanic church. She and her husband are part of the church’s worship team. 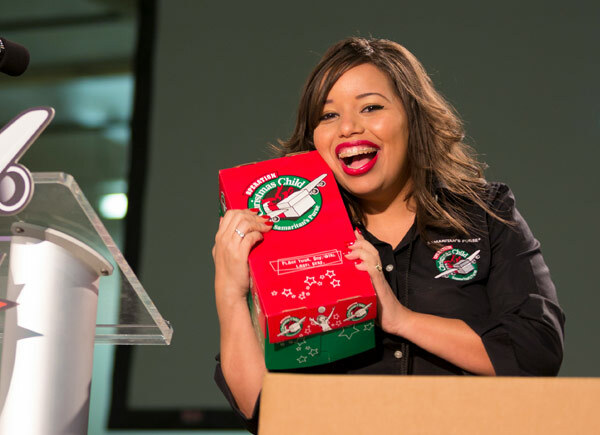 Last year, the church’s youth were the first ones in the congregation to pack shoeboxes. They packed 150 gifts—all with notes about the love and faithfulness of God.